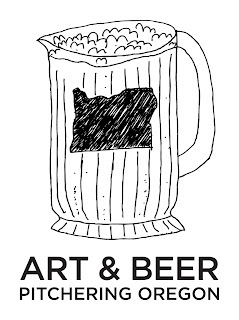 Portland, Oregon, October 2, 2017 – The Portland Art Museum and artist Eric Steen are pleased to announce Art & Beer: Pitchering Oregon, a statewide exploration of landscape, art, place, and history, through the lens of Oregon craft beer and cider making. Art & Beer: Pitchering Oregon will take place at the Museum on November 4; it will bring together a diverse lineup of 18 Oregon craft brewers paired with 18 artworks from the Museum’s permanent collection. The selected artworks represent or evoke a range of Oregon landscapes including Greater Portland, the Coast, Willamette Valley, the Columbia River Gorge/Mount Hood, Central, Eastern, and Southern parts of the state. 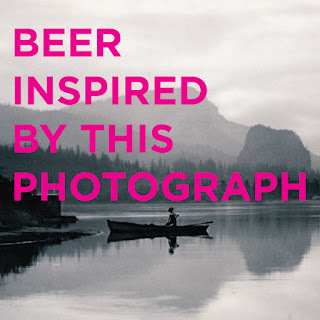 Brewers from each of these regions are creating one-of-a-kind beers inspired by the artists and the surrounding landscapes represented in their selected artworks. When experienced together, the beers will collectively create a drinkable portrait of one of the most geographically diverse and beautiful states in the U.S. More event information and how to purchase tickets is below. The event’s title is a play on words, and is presented in conjunction with the similarly titled exhibition Picturing Oregon, a rotating display of over 50 paintings and photographs showcasing the diversity of Oregon landscapes and places from the past 125 years. This exhibition is currently on view in the Northwest galleries. Of the 18 featured works of art, 12 will be coming out of Museum storage and shown exclusively at this event. The Museum’s entire catalog of art depicting Oregon landscapes and places is available for viewing in the Museum’s Online Collections (Picturing Oregon). Trevor and Lindsey Rogers, De Garde Brewing co-founders have conjured the beer “Ferme et Forêt,” inspired by an iconic painting by Michael Brophy of a vast timber clear cut. Their recipe features dessicated hops, fresh hops, and spruce tips in a highly composed blended beer. Heater Allen Brewing head brewer Lisa Allen has developed the aptly named, “Block House Beer” with oak-smoked wheat malt, rye malts, and a heritage form of barley inspired by Constance Fowler’s woodblock print of the Yamhill Block House, which is in Dayton, Oregon. Inspired by a vintage 1930s print of Temple Beth Israel by photographer Henry Berger, Jr., Sonia Marie of Leikam Brewing presents “The Kuppel,” a kosher beer brewed in collaboration with a Rabbi from Temple Beth Israel. “Slough Mountain,” a foraged beer from Hopworks Urban Brewery inspired by Lily White’s image of a pre-industrial Columbia River Slough includes lichens, wild fennel canes, toasted Black Cottonwood bark and Big Leaf Maple leaves. 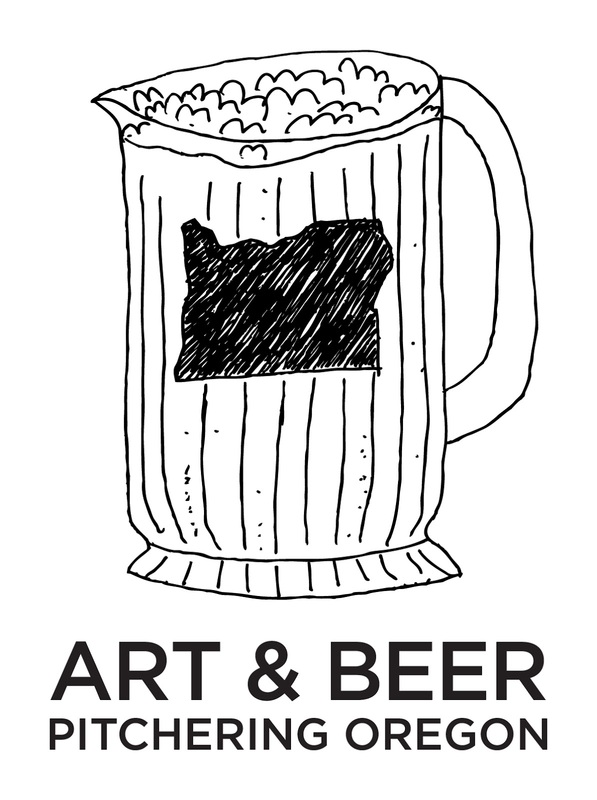 What: General Admission to Art & Beer: Pitchering Oregon includes museum admission, a commemorative glass, an art/beer program booklet, and 10 tasting tokens (each token = one 3 ounce pour). Attendees will choose from 16 beers and two ciders crafted just for the event and inspired by artwork from the Picturing Oregon collection. In addition to the grand tasting, the event includes a variety of interactive elements including: informal brewer and curator chats alongside the featured artworks, museum docent tours of beverage-themed works of art, a sensory/smell experience highlighting local/regional ingredients that went into making some of the beers, and even Super 8 film processing demonstrations using different types of beer led by the NW Film Center. The special VIP Brewers Brunch includes the Art & Beer event elements outlined above along with a hearty buffet brunch, early access to the beer, cider and artwork, and lively presentations from participating craft brewers and curators in a more intimate setting. Who: 18 brewers from seven regions around the state will present their original beers and ciders and give short talks at designated times. VIP Brewers Brunch from 10:30 a.m. – 1 p.m.; $40 General/$35 Museum Members; NOTE: Brewers Brunch tickets includes access to the full event and must be purchased in advance, by November 1st. Additional beer/cider tasting tokens can be purchased for $2 each. Advance tickets can be purchased at this link. NOTE: The beer tasting portion of the event is only open to those 21 and older. The Museum galleries are open to all ages ($19.99 general admission or free for Museum Members). Breakside Brewery - PHOTO: Bobby Abrahamson, Bob and the Puddle Cutters, from the series North Portland Polaroids, 2011 (negative); 2012 (print). Ecliptic Brewing - PAINTING: Amanda Snyder, The Forest in Autumn, ca. 1970. Great Notion Brewing - PAINTING: Charles McKim, Sauvie Island, ca. 1920. Hopworks Urban Brewery - PHOTO: Lily White, Columbia Slough, 1902/1904. Leikam Brewing - PHOTO: Henry Berger Jr., Congregation Beth Israel, Portland, ca. 1928. Little Beast (Beaverton) - PHOTO: Shawn Records, Near Five Oaks, from the series Beaverton, 2005. Reverend Nat’s Hard Cider - PAINTING: Childe Hassam, Oregon Still Life, 1904. Heater Allen Brewing - PRINT: Constance E. Fowler: Yamhill Block-House, from the series The Old Days: In and Near Salem, 1969. McMenamins (Salem) - PRINT: Constance E. Fowler, Lincoln Wade's Store, from the series The Old Days: In and Near Salem, 1969. Wildcraft Ciderworks - PAINTING: Norma Driscoll Gilmore, Untitled (Skinner's Butte with Industrial Area Below), 1950. Deschutes Brewery (Bend) - PAINTING: Charles Heaney, Black Butte, 1917. De Garde Brewing - PAINTING: Michael Brophy, Harvest, 1995. Fort George Brewery - PAINTING: Mark Andres, Nocturne (Astoria), 2015. Standing Stone Brewing - PAINTING: Frank Vincent DuMond, Sketch of Table Rock Near Medford, 1911. Steens Mountain Brewing - PHOTO: Drex Brooks, Rick, Barb, Jackie, and Michelle at Hot Springs - Juntura, Oregon, from the series Ranch Pictures 1981-1986, 1981/1986. Terminal Gravity Brewing - PHOTO: Minor White, Wallowa Mountains at Enterprise, Oregon, ca. 1940.
pFriem Family Brewers - PHOTO: Lily White, Evening on the Columbia, 1903/1905. Press images courtesy of the Portland Art Museum and available at portlandartmuseum.org/press. Art & Beer: Pitchering Oregon is sponsored by the Oregon Beverage and Recycling Cooperative (OBRC), whose BottleDrop Redemption centers collect high volumes of recyclables throughout the state. OBRC’s new BottleDrop Refill program collects bottles for refill by Oregon brewers, offering an innovative, cost-effective solution to expand the beverage industry’s stewardship efforts and help sustain the environment Oregonians treasure. Wells Fargo is the presenting sponsor of the Portland Art Museum’s 125th anniversary year. The Museum’s campus of landmark buildings, a cornerstone of Portland’s cultural district, includes the Jubitz Center for Modern and Contemporary Art, the Gilkey Center for Graphic Arts, the Schnitzer Center for Northwest Art, the Northwest Film Center, and the Confederated Tribes of Grand Ronde Center for Native American Art. With a membership of more than 22,000 households and serving more than 350,000 visitors annually, the Museum is a premier venue for education in the visual arts. For information on exhibitions and programs, call 503-226-2811 or visit portlandartmuseum.org. The Portland Art Museum welcomes all visitors and affirms its commitment to making its programs and collections accessible to everyone. The Museum offers a variety of programs and services to ensure a quality experience and a safe, inclusive environment for every member of our diverse community. Learn more at portlandartmuseum.org/access.The press kit for Art & Beer: Pitchering Oregon is available online at this link.